Disclaimer: This game was developed in two days for the Let's Create Game Jam #1. Afterwards, it was reworked into The Awakening. "Sure, you like gold. We all do. But you are the only one who likes it that much." 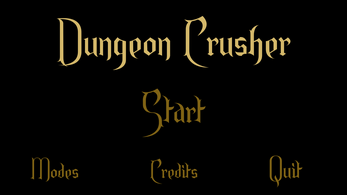 Explore dangerous dungeons in this blazing-fast, tile-based game! 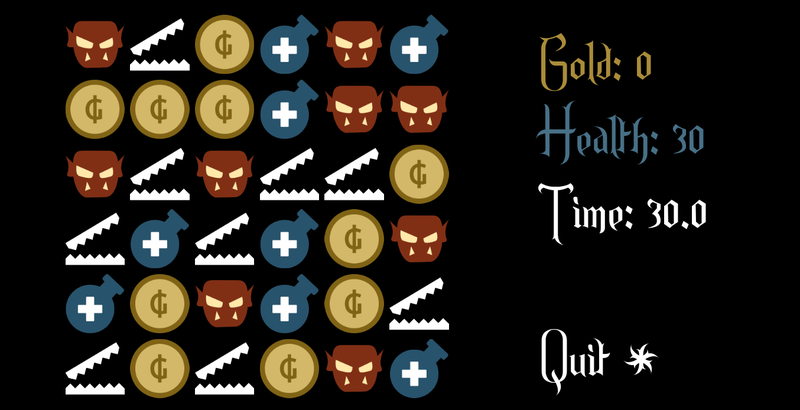 You only have 30 seconds to get all the gold you can (without getting killed first, of course)! 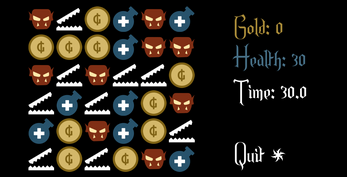 Quick gameplay: each quest lasts maximum 30 seconds. 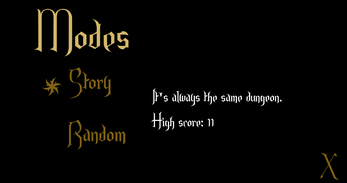 "Story" mode: play the same dungeon every time, so you can truly compare with others who is the best! 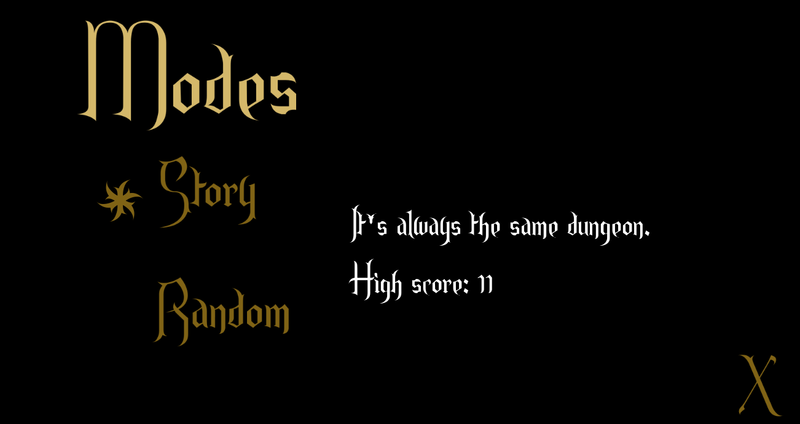 Random mode: play random dungeons. Each adventure is unique! Each turn, you pick a tile. The selected tile and every tile directly connected to it (horizontally, vertically or diagonally) gets removed from the board. Coins give you money, potions heal you and traps do nothing. Afterwards, enemies in the board hit you, each for 1 HP. Finally, the board gets filled again. By the way: you have 30 seconds to maximize your gold! Dungeon Crusher was developed over two days for the Let's Create Game Jam in 2017.